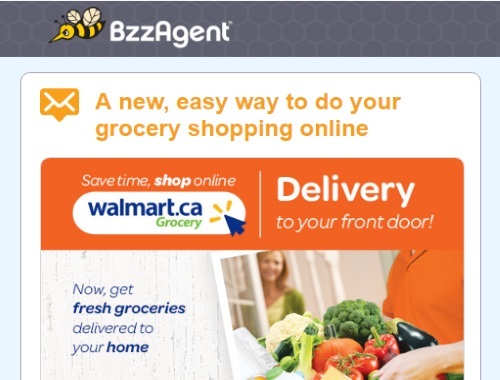 Woohoo I am in another Bzzagent campaign for Walmart Grocery delivery! There’s a better way to get your weekly shopping done. Instead of hauling your groceries across town, do your shopping from home with the New Walmart Grocery Home Delivery service. Order your weekly groceries online at the same low prices you find in store, then a Walmart online grocery shopping expert will do the shopping for you. They’ll even drop it off to your house during the time slot you’ve chosen! This campaign will fill faster than you can get fresh, affordable groceries delivered to your home, so grab your spot now! Didn't get into this campaign but are curious about what Walmart Grocery Delivery is? Click here to browse. Click here to join Bzzagent/go over to the Bzzagent website.